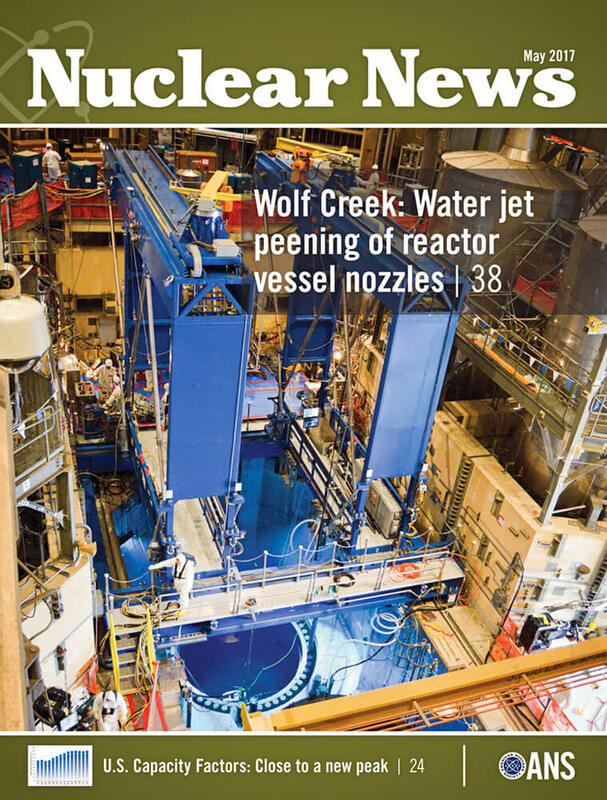 Merrick designed a specialty crane that allowed for nuclear reactor maintenance using water jet peening (WJP) for the first time in the U.S. WJP is a process developed by Mitsubishi Heavy Industries that mitigates risk of stress corrosion cracking, particularly in nuclear reactor nozzle welds. 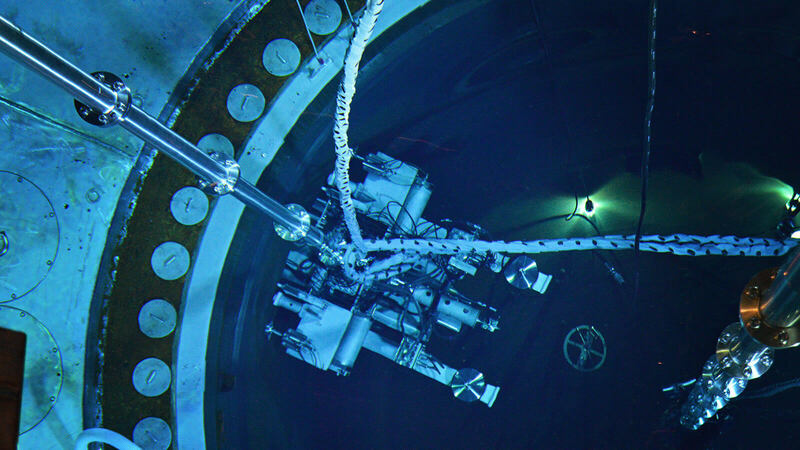 WJP can be used to lengthen time periods between inspections of the reactor vessel and reduce radiological dose to operators. This unique crane is a critical element in the deployment of WJP, which increases safety of personnel, saves time and money for the operators, utility owners, and ultimately the rate payers (customers). 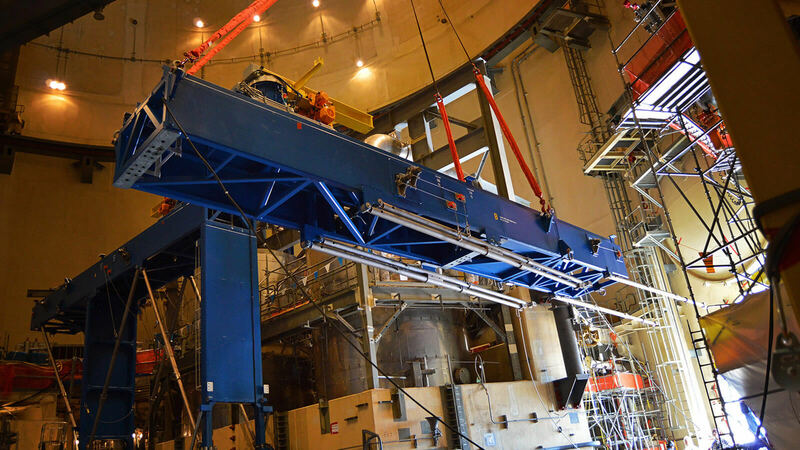 Merrick designed the specialty crane to lower, position, and support two WJP tools—each the size and mass of a small car—into the reactor vessel during an outage. 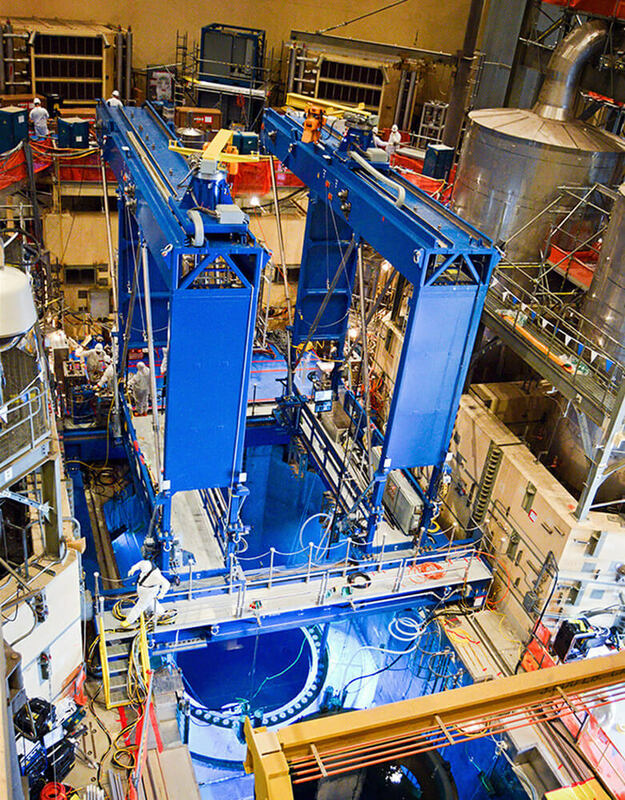 Once erected, the crane sits above the reactor vessel and provides a stable platform for the WJP operators. 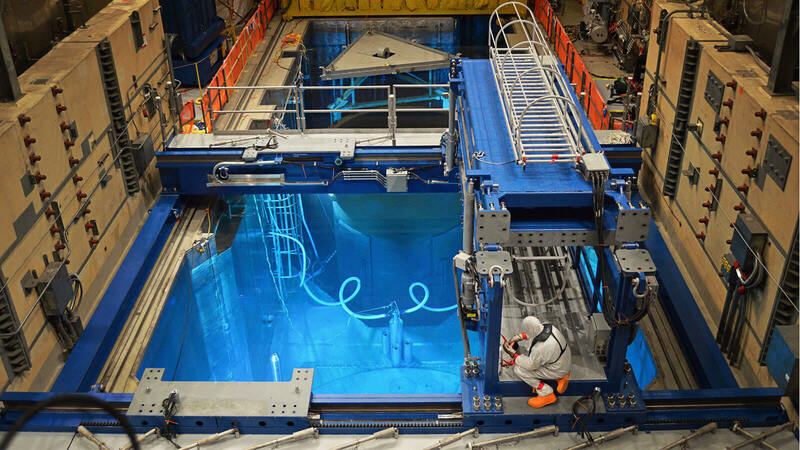 The most challenging aspect of the project was creating a design that could be repeatedly assembled and disassembled to be moved and deployed at multiple reactor sites. 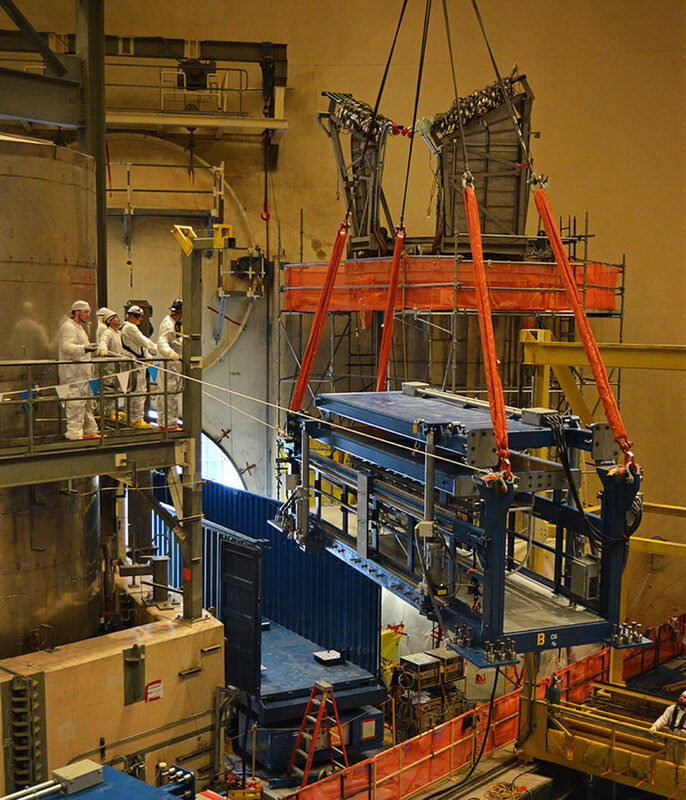 The team incorporated unique design features such as hinged and folding systems, integral drives, and modular interconnecting structures. On the crane’s first use, it was assembled in 18 hours, performed flawlessly, and disassembled in 12 hours saving valuable outage time.